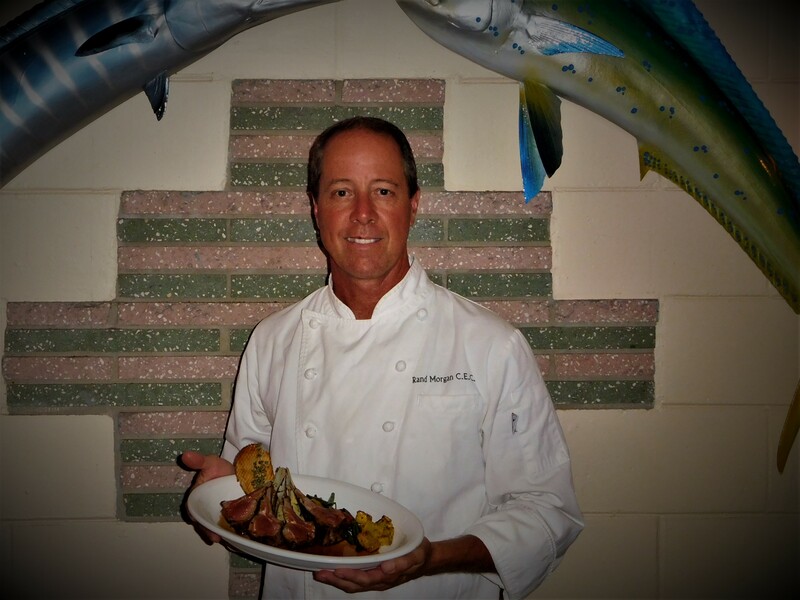 Pineda Crossing is fortunate to have Chef Rand Morgan C.E.C. directing our food service operation. Rand “grew up” in the Melbourne area and went to high school at Satellite High in Satellite Beach, Florida. He has attended Brevard Community College and received his A.A. in Business Management and an A.S. in Business Administration. Then it was on to the prestigious Culinary Institute of America in Hyde Park, New York. Rand received his A.O.S. degree in Culinary Arts and graduated with honors. Chef Morgan was working as Executive Chef for two restaurants in Grand Junction, Colorado and looking for a way back to Sunny Florida. Pineda Crossing was looking for a new Chef and had posted a “Help Wanted” on an Internet bulletin board hosted by the Culinary Institute of America. As luck would have it, a connection was made and Rand is now into his thirteenth year as our Executive Chef. Pineda Crossing offers two lunch specials everyday. These specials allow Chef Morgan to showcase his knowledge of various regional cuisines. Our weekend specials are posted on this web site and updated on a weekly basis. Vice President Western Rockies A.C.F. Caterer for Prince Fahd, Saudi Arabia’s Ambassador to U.S.